I recently finished taking a complete inventory on Benjamin Gettler’s papers. It’s been really interesting unpacking folders from such an ambitious and involved person. 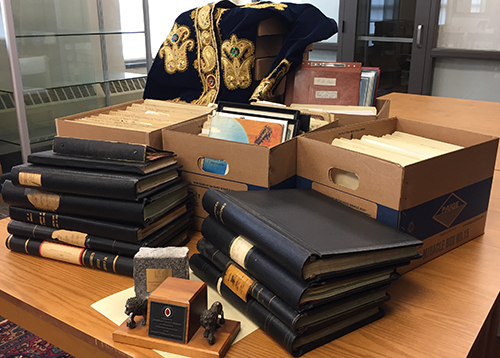 The collection largely stems from his involvement in various organizations from 1960-2003, notably the Cincinnati Transit Company, S.O.R.T.A./Metro, American Controlled Industries (ACI), the Jewish Institute for National Security Affairs (JINSA), and the University of Cincinnati. There is also a large collection of political correspondence with letters dating as far back as 1959 (with Robert F. Kennedy), through 2012.